Over the years Merciamini club has supported many charities, most of which have been chosen (voted for) by club members. Mercia Minis has named Malvern Day Care as their chosen charity for 2019. Chairman Andy Stephens and club members Linda Gilks, Julie Ash and Ann Rowley drove their classic minis to the centre, situated on Graham Road, to officially launch the fundraising initiative on Wednesday March 13. 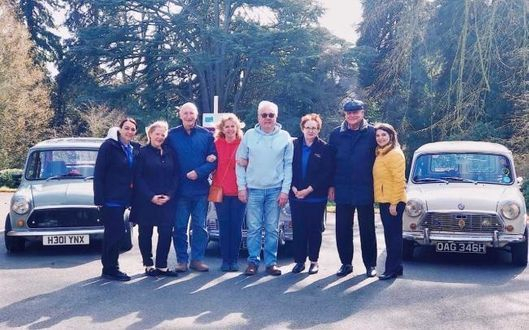 Their arrival sparked great excitement from clients at Malvern Day Care, a service that supports people living with dementia, who got the chance to find out more about classic minis and share their motoring memories. Andy Stephens said: “We had a fantastic response from the people here – especially one gentleman called Bernie who used to own a mini and was really interested in what we do. “It means a lot to me personally to support Malvern Day Care because my sister has recently been diagnosed with dementia and I know how important this kind of service is for families like mine. Now in its tenth year, Mercia Minis Club will be exhibiting their classic cars at shows, steam rallies and fetes throughout the year. 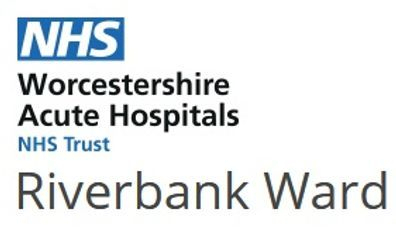 Amount raised will be finalised and donated at the end of 2019! 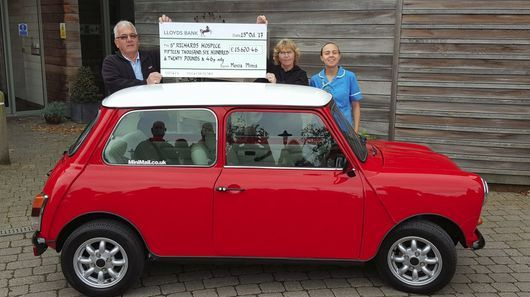 FUNDRAISERS from Mercia Minis raked in more than £15K for Worcester's St Richard's Hospice by raffling off a restored Mini Cooper. The family-friendly group, based at the Bluebell Inn pub, in Upton Road, Callow End, held the charity drive in memory of two members Barb Stephen and Steve Ash, who both recently lost their lives to cancer. Mick Rowley, of Mercia Minis, who also runs the Mini Cooper Register Worcestershire region, said: "Sadly we lost two of our members to cancer, so Barb's husband, one of the members, donated a classic Mini and it was fully restored by club members. "We also had help from local Mini spares and a lot more suppliers, including Bromsgrove Engine Services and Mini Mail." 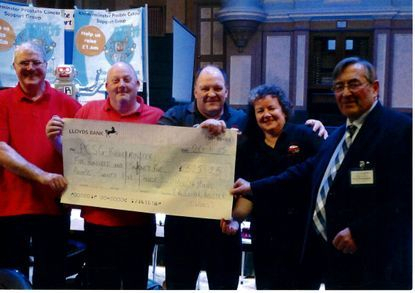 The draw was held at the Malvern Festival of Transport on the Sunday, October 8 and cheque for £15,620,46 was presented to St Richards Hospice Worcester on the Sunday, October 15. The winner lives in the West Midlands. A GROUP of Mini enthusiasts from Malvern has raised more than £1,000 for the fight against heart disease in the last year. 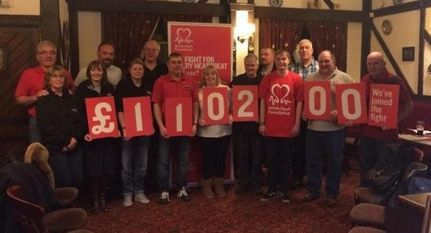 Mercia Minis chose the British Heart Foundation as its nominated charity following the sudden death of Andrea Cochrane, wife of club chairman Eddie Cochrane, in 2014. Members got involved by donating £1 each time they attended a free show or held charity auctions and raffles. Their fundraising efforts got competitive when they devised a Cylinder Head challenge with participants competing to undertake the task against the clock, donating 20 pence for the chance to beat each other. As a result, they raised a total of £1,102. Mr Cochrane said: “As a whole, most of the funds raised have come from within the club; we are thrilled with our achievement and proud to have contributed to a cause so close to our hearts. Jenine McGaughran, fundraising manager at the foundation, said: “We would like to say a huge thank-you to everyone who has helped make our partnership with Mercia Minis such a success. Funds raised to the total of £525.25p in aid of Rory The Robot Prosate Cancer 2015. Funds raised to the sum of £575 in aid of Macmillan Nurses 2011. Thanks to Mike and Jenny Crooke. Funds raised to the sum of £250 in memory of Abi Fund 2011. Funds raised to the sum of £542.40p in aid of St Richards Hospice 2012. 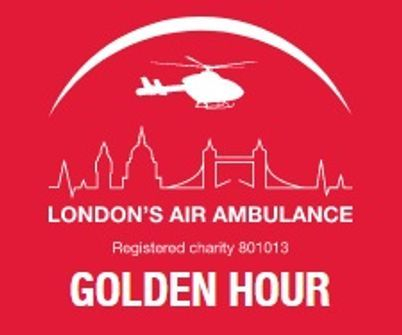 Funds raised to the sum of £49.50p in aid of Air Ambulance Golden Hour 2011.